Strength Training Versus Bodybuilding is a really misunderstood area. Strentgh Training is NOT Bodybuilding. If you’ve read the many articles on this site you may have picked up on slight tendency of mine. Different goals require different methods. Pick a goal and stick to it. To help you decide on what you want to achieve, I though I’d share with you the difference between Bodybuilding, Power lifting and Strength Training. 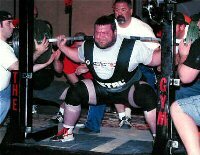 Power Lifting is primarily concerned with building strength, the ability to move heavy objects with relative ease. I say relative because some people want to be able to pick up there wide screen TV and move it to another room and not put they’re back out, for others it’s the everyday day to day chores of the house. Some want to move trucks…and lift tons…..I don’t understand why, but they do and that’s great. Most have high levels of body fat. They focus on very low rep exercises, heavy lifts. Bodybuilding on the other hand has its top number one goal as the development of a proportioned muscled physique. Male bodybuilders tend to look Arnold Schwarzenegger, Dorian Yates and the Incredible Hulk - Giants of men with muscles upon muscles and appetites to match the huge figures. Female bodybuilders are also highly muscular with definite chiselled figures. They lift medium weight medium reps. In case you’re wondering Endurance Athletes like Marathon Runners focus on Low weight high rep routines. Don’t know what all this low weight high rep stuff is? (basically a rep is how many times you perform a movement - a set is a series of reps). Regardless of opinion, that they are beautiful living statues or highway veined monsters, what they achieve is nothing short of remarkable. It requires incredible dedication and commitment. They generally also have very very low body fat. Strength in this case is a secondary goal. Strength Training Versus Bodybuilding - So what is it to be? Hulk or Bulk? Okay, most of us reading this won’t want to be either – I know it’s not my goal at any rate. If like me – you want the best of both worlds – a Killer Physique, toned, trim and athletic combined with useful functional strength. Then I suggest the alternative…ISOMETRICS. No surprise there. The Body + The Strength = Superman / Wonder Woman. So what do you want to be? Hulk,Bulk or Superman ? Weight Lifting Workout Routines Workout Routines, Tips, & Weight Lifting Exercises - Burn fat, build muscle, get toned, gain strength...Scientifically proven weight lifting workout routines, tips, & exercises. This is a site run by a fellow trainer, great info to supplement your isometric training.